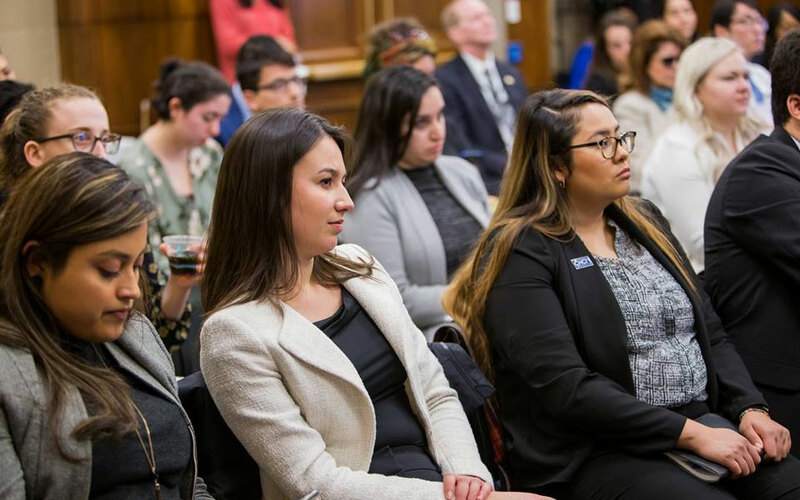 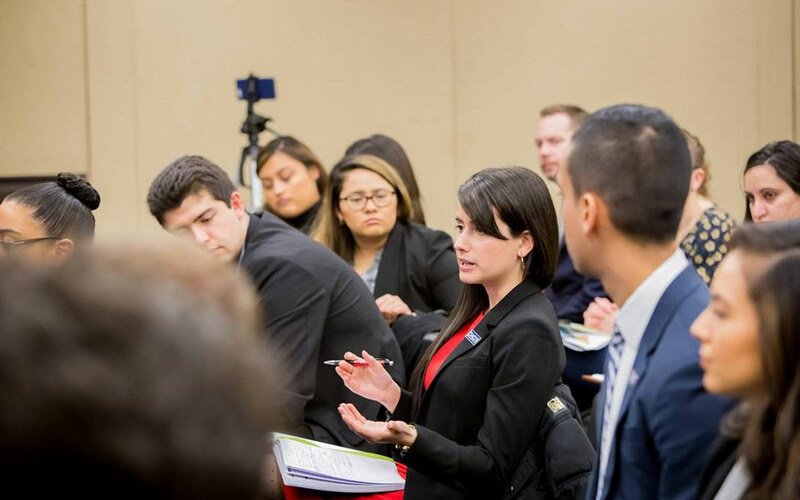 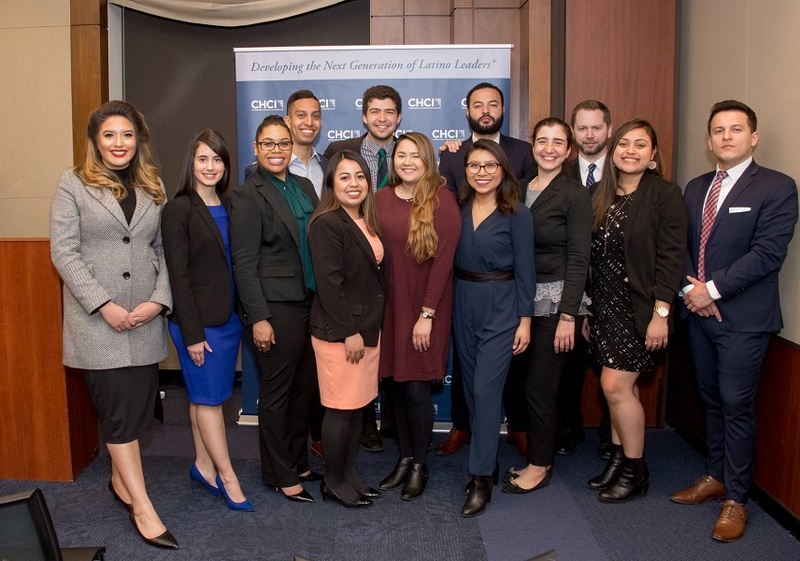 The CHCI 2018-2019 Graduate Fellows proudly hosted the 2019 Capitol Hill Briefing Series on March 26th and April 2nd bringing together Members of Congress, congressional staffers, public policy experts, and national leaders for high-level discussions on health, law and housing issues impacting the Latino community. 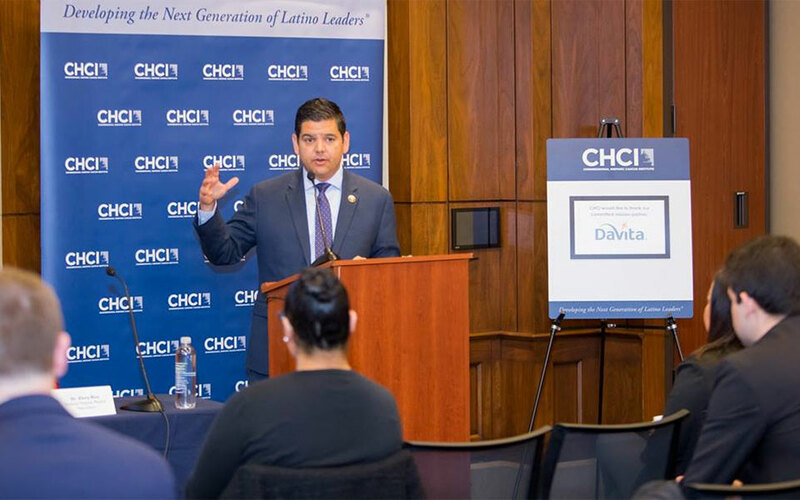 Representative Raul Ruiz kicked off day one of the signature briefings, centered around health, introducing CHCI-DaVita Health Graduate Fellow Alexis Sandoval-Uribe and his session on “Advancing Health Equity: The Pathway To Reduce Health Disparities And Improve Patient Care.” Sandoval-Uribe led a discussion on how the advancement of health equity can reduce health disparities and improve patient care among people of color. 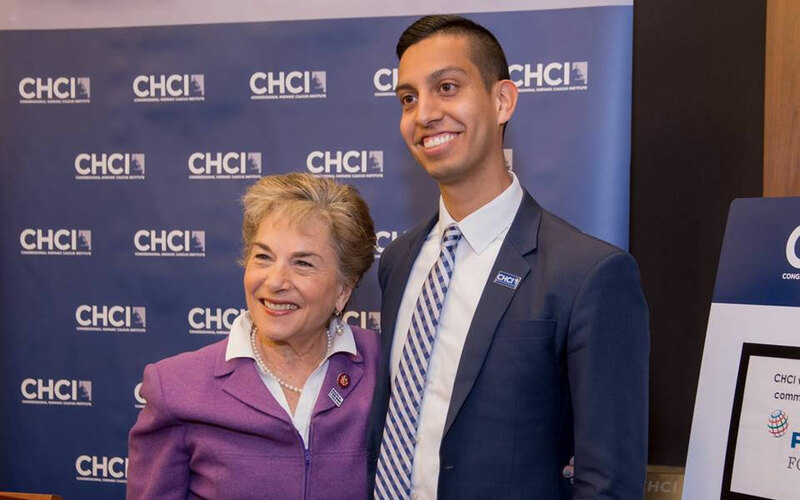 The second health briefing began with Representative Jan Schakowsky’s introduction of CHCI-PepsiCo Foundation Preventive Health Graduate Fellow Manuel Aviña. 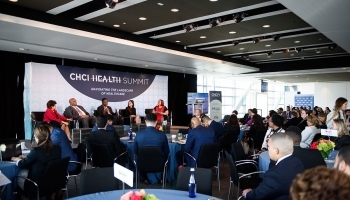 Aviña was joined by health care and housing professionals addressing the challenges and opportunities of health systems, including hospitals, investment in overall positive community health through housing initiatives. 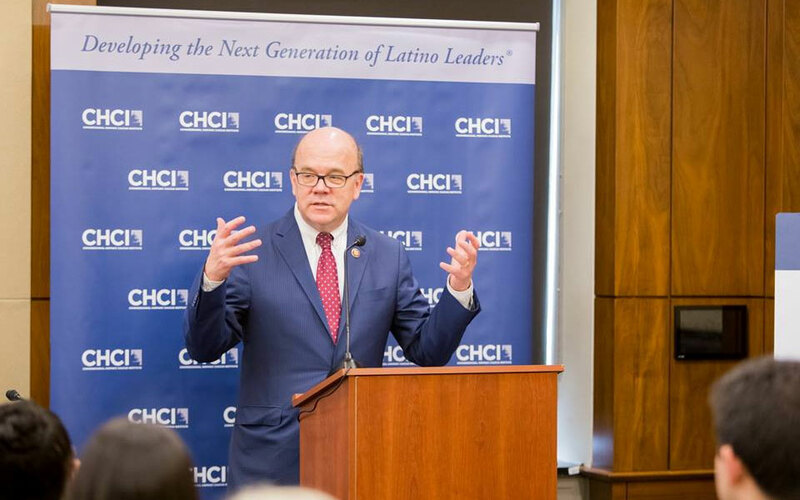 CHCI-PepsiCo Foundation Nutritional Health Graduate Fellow Maria Cecilia Pfund announced by Representative Jim McGovern, concluded the health briefings shedding light on food insecurity and food waste issues. 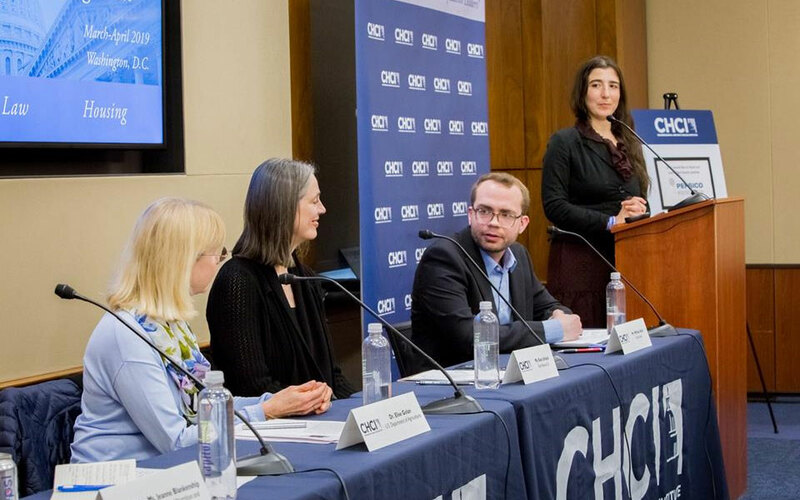 Panel participants explored potential solutions and ways in which we can all use and consume food responsibly. 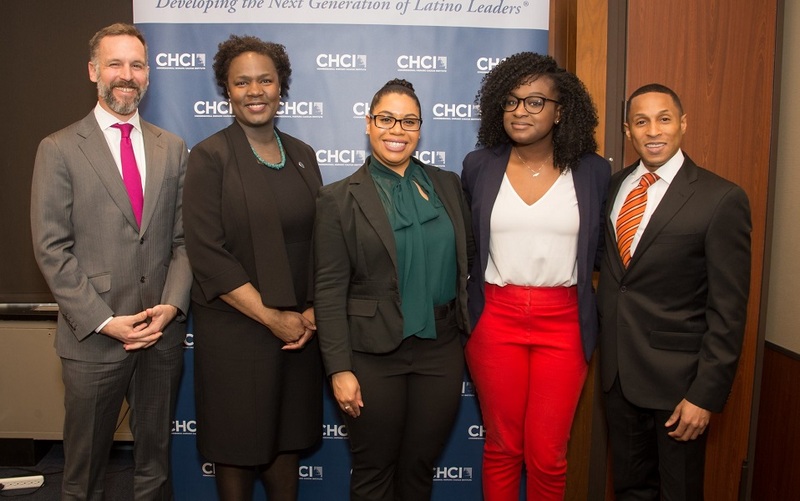 Day two of the 2019 Capitol Hill Briefing Series continued with CHCI-PepsiCo Foundation Law Graduate Fellow Gidget Gabriela Benitez leading a discussion on the discriminatory effects of gerrymandering on African-American and Hispanic communities and a look at possible solutions, including artificial intelligence and independent state commissions. 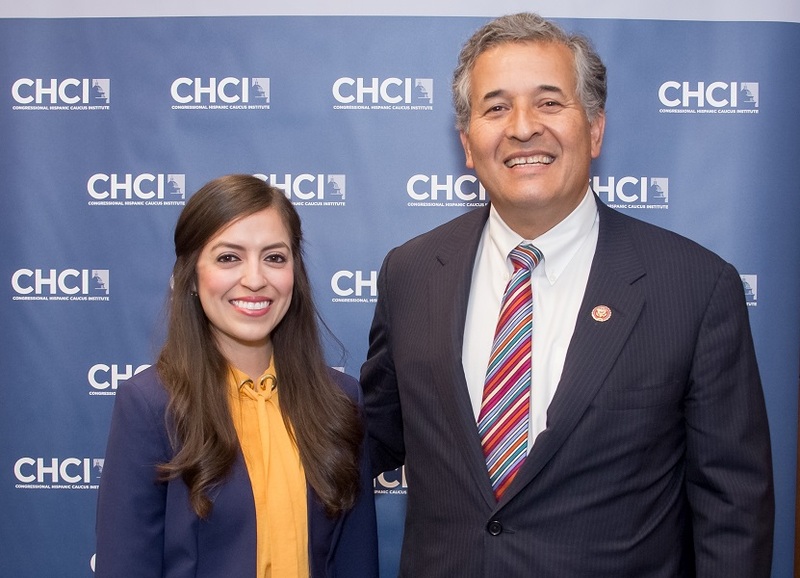 Concluding the Briefing Series, CHCI-Wells Fargo Housing Graduate Fellow Mayra Vazquez held a crucial briefing on how housing programs can be used to improve people’s socio-economic outcomes. 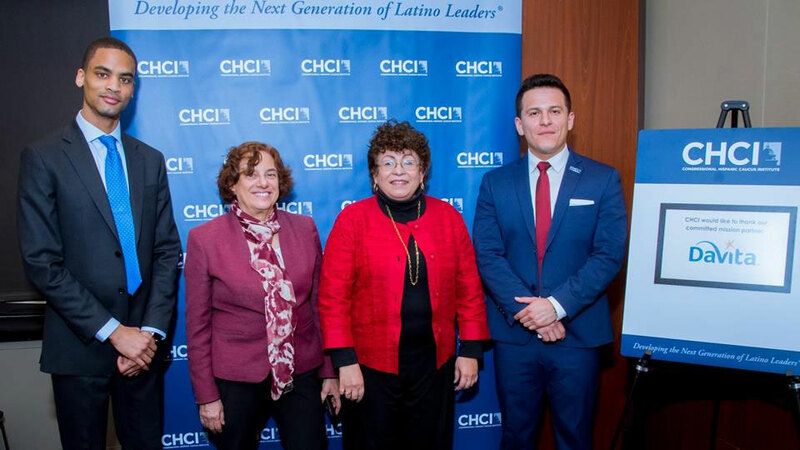 Introduced by Representative Juan Vargas, Vazquez, along with a panel of national local experts, examined how vouchers, partnerships, education, and workforce development contribute to upward mobility for Section 8 Housing Choice Voucher families, the major form of federal housing assistance to approximately 2.2 million households. 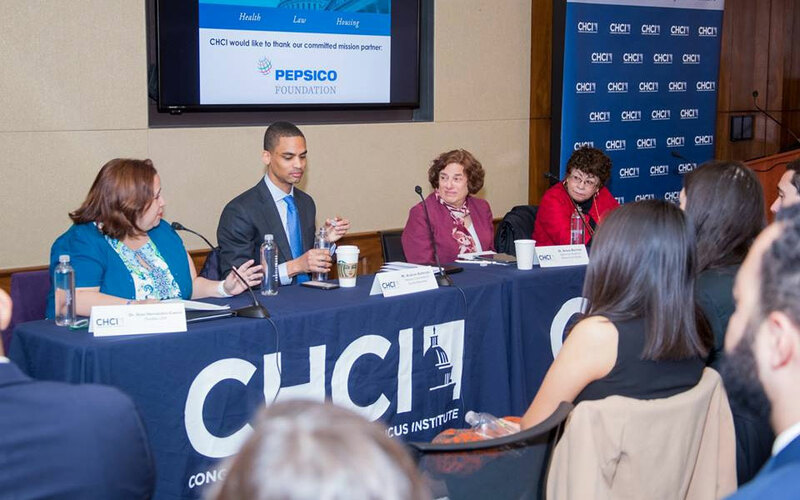 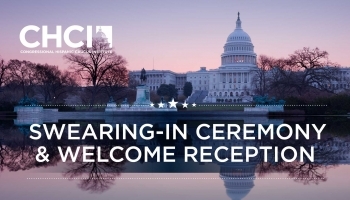 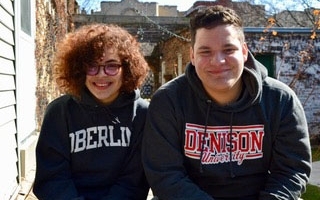 The CHCI 2019 Capitol Hill Policy Briefings were made possible by the generous support of PepsiCo Foundation, DaVita, Wells Fargo, Bank of America and Southwest Airlines—the official airline for CHCI’s Leadership Programs. 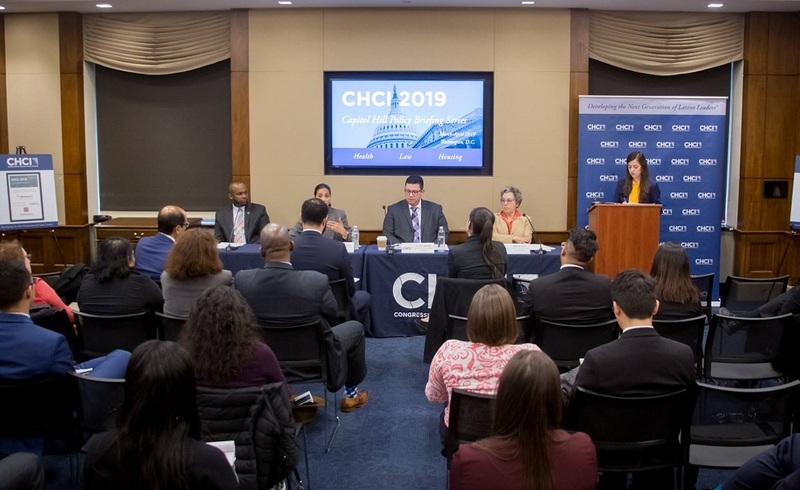 See the full agenda of the 2019 Capitol Hill Policy Briefing Series , including session titles, description and speakers HERE. 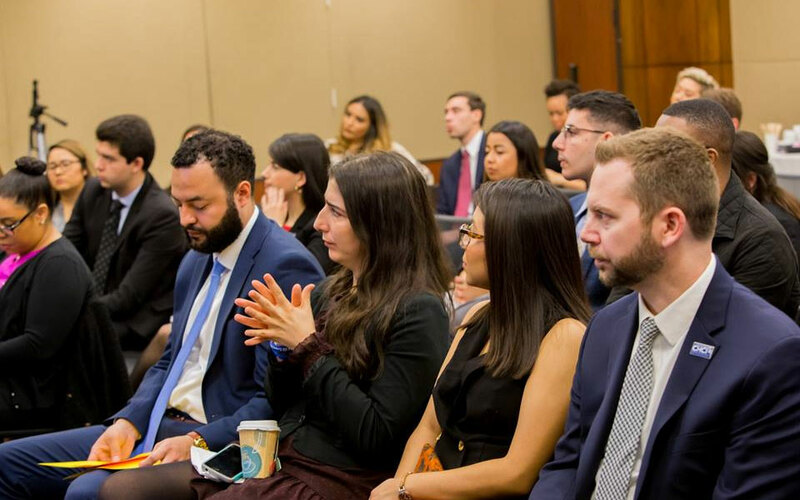 Read the 2019 Capitol Hill Policy Briefs.